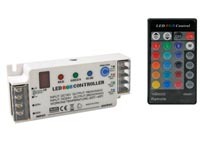 LED controller for use with digital RGB LED strips. 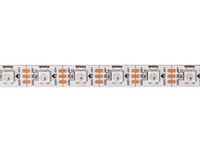 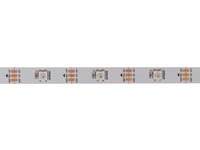 It generates a SPI (TTL) signal which can control a digital LED strip. 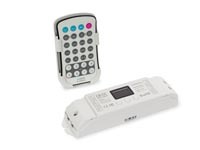 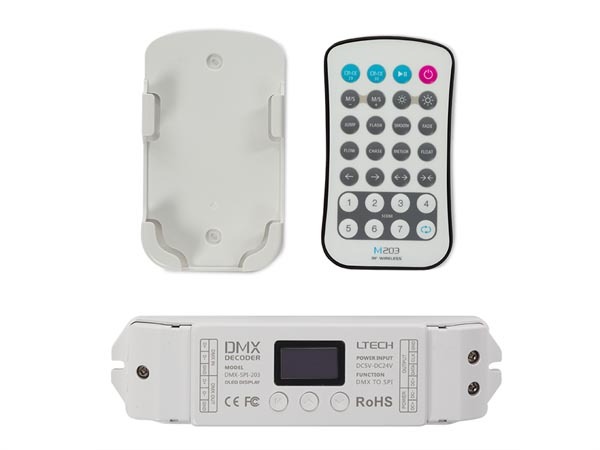 With the included RF remote controller, you can select various dynamic lighting effects, set the control pixel quanity, adjust the changing speed, brightness, direction, RGB sequence, select the IC type and play customized scenarios. 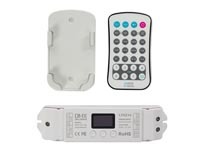 power supply remote control: 3 V lithium CR2032: LITHIUM 3.0V-230mAh 6032.801.401 (1 pc/bl) battery, incl.